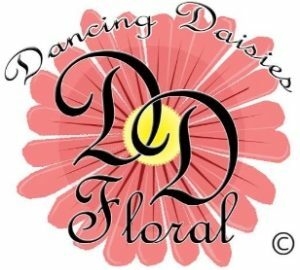 Get A FREE Brochure from "Dancing Daisies Floral"
Betsy was so helpful in making a beautiful selection of flowers fit my budget and the feel of my wedding. She stayed in touch with me, and coordination was a breeze. I didn't have to worry about a thing on the day of the wedding, she arrived early (even though she had to drive an hour to get there) and set everything up how we had discussed. I can't say thank you enough!! !